Even if you do everything else right -- you stay away from caffeine after lunch, you don't let Fido share your bed, you give yourself some time to unwind before expecting to fall straight asleep -- the very thing you rely on most to get your rest might be sabotaging your sleep. It goes without saying that a comfortable and supportive mattress can drastically improve your odds of getting a good night's rest, but it's not always a matter of mattress firmness, material or size keeping you up. In fact, everything from the color of your walls to whether or not there's a lock on your bedroom door can play a role in sleep. 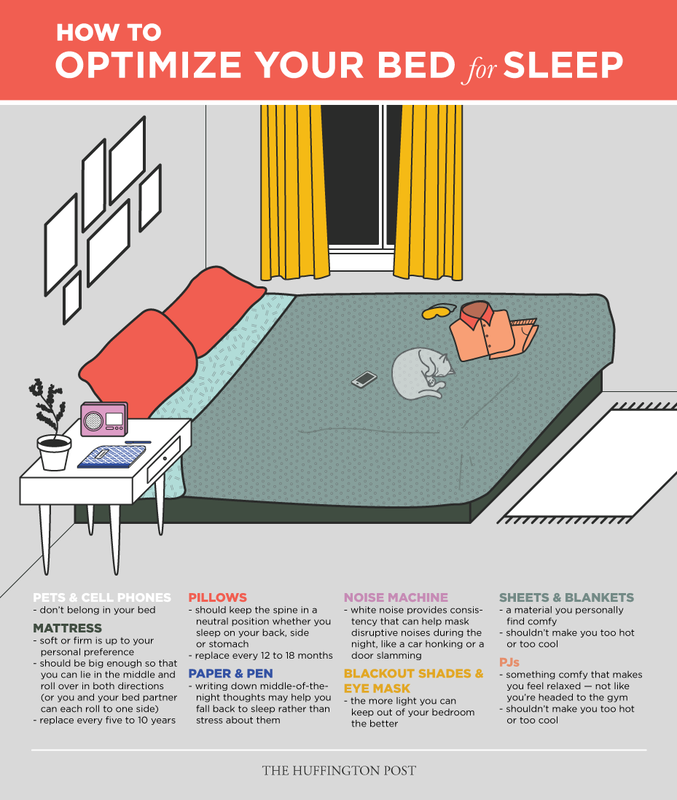 But since most of us can't head home and repaint the walls tonight, here are some ways to guarantee your bed -- from the pajamas you wear in it to the pillows you toss on top -- is the sleep haven you deserve. Infographic by Noelle Campbell for The Huffington Post.